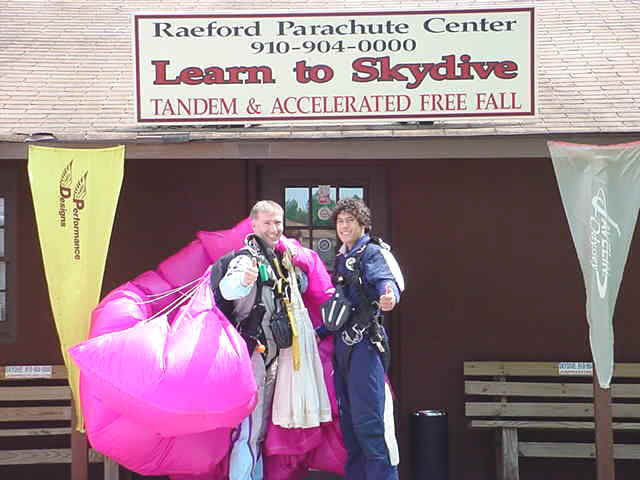 The Raeford Parachute Center (RPC) is a full service drop zone located at 143 Airport Drive in Raeford North Carolina. Tony & Kate combine have over 30 years of experience in the aviation and skydiving industry. The United States Parachute Association (USPA) has over 34,000 members and RPC is a group member and has pledged to follow the USPA's Basic Safety Requirements. RPC is also a member of the Better Business Bureau since 2001.